St Anne’s began to look at the pros and cons of Twinning with another church in 2011. In the following year correspondence began with a United Presbyterian Church in Lusaka, Zambia. 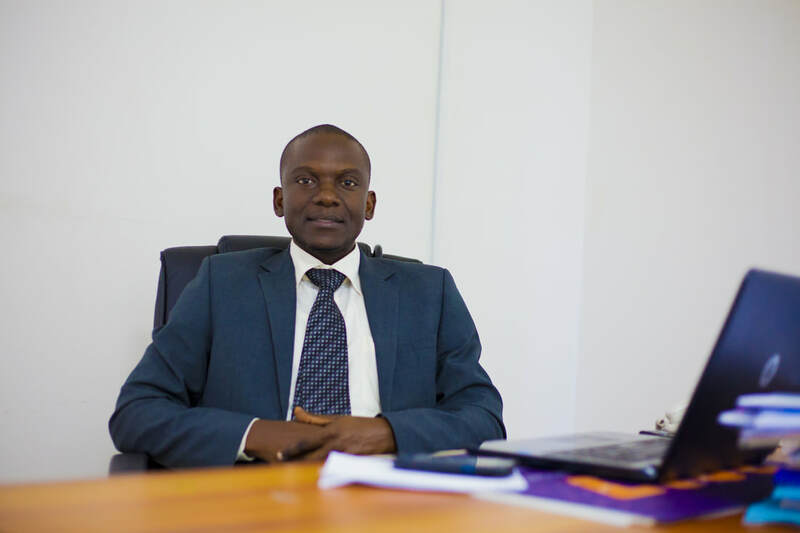 This led to a visit of its Minister and a lady elder, Bishop Rodwell Chomba and Mrs Josephine Muchelemba, in May 2013 and the formal signing of a Twinning Agreement in September, 2013. During the last four years St Anne’s has developed and enriched our Twinning with St Andrew’s Lusaka. There have been exchange visits in each year. In 2016 St Anne's sent Mr and Mrs Evan Graber to Lusaka. 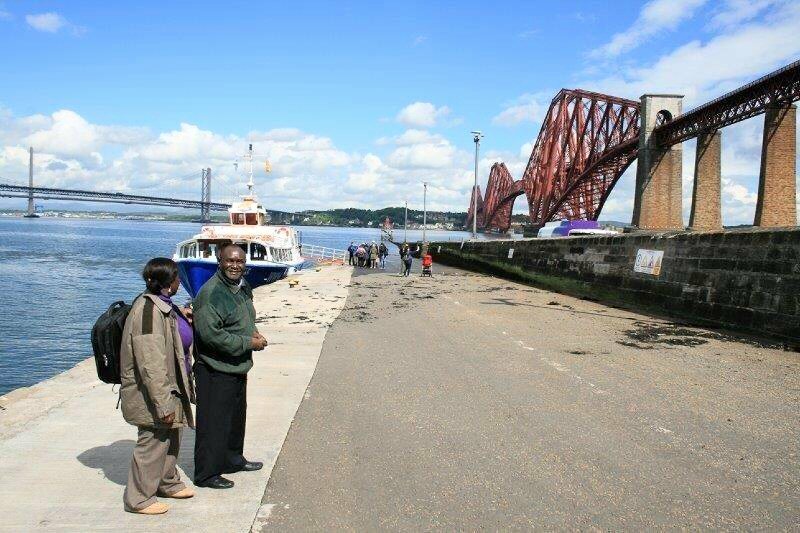 This year we had the honour of hosting St Andrew’s minister, Rev Alex Mwalilino and his wife Tabitha. This year’s programme included shared worship, visits to social outreach such as a Foodbank and Fresh Start, an afternoon at “Heart and Soul” two visits to the General Assembly and a surprise reunion with a former colleague who had worked in Zambia. A cruise on the Forth, a visit to the Falkirk Wheel and a day at a farm in Fife provided an insight into our engineering feats, the lovely Scottish countryside and the methods of Scottish farming (something requested by the visitors). 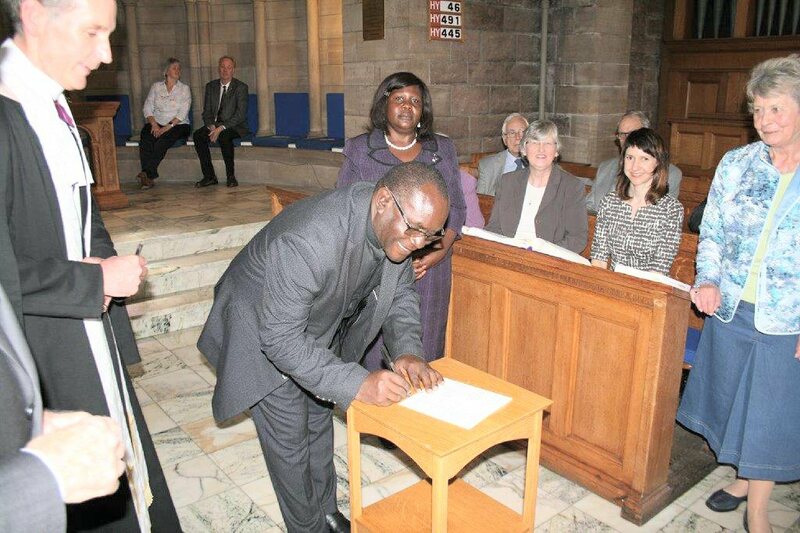 During the visit, both congregations signed a further agreement to extend the twinning programme for a further period. St Anne’s has already received an invitation from Lusaka to make another visit in 2018 and is in the process of selecting folk to make the trip. are in close and regular contact and arrangements in place for articles for the respective church magazines to be contributed by some-one in the twin congregation. As always all church organisations are being encouraged to send regular correspondence to the twin congregation. Sharing faith, problems and concerns with our brothers and sisters from another continent has brought untold joy to many both in Scotland and Africa.